The Homer Laughlin 6376000 Pristine plate has a large rim that creates the illusion of more food on the dish, keeping customers satisfied. 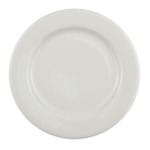 With the Ameriwhite color, you can easily see food against the neutral background. The 9-inch diameter makes the dish great for lunch and small dinner portions. 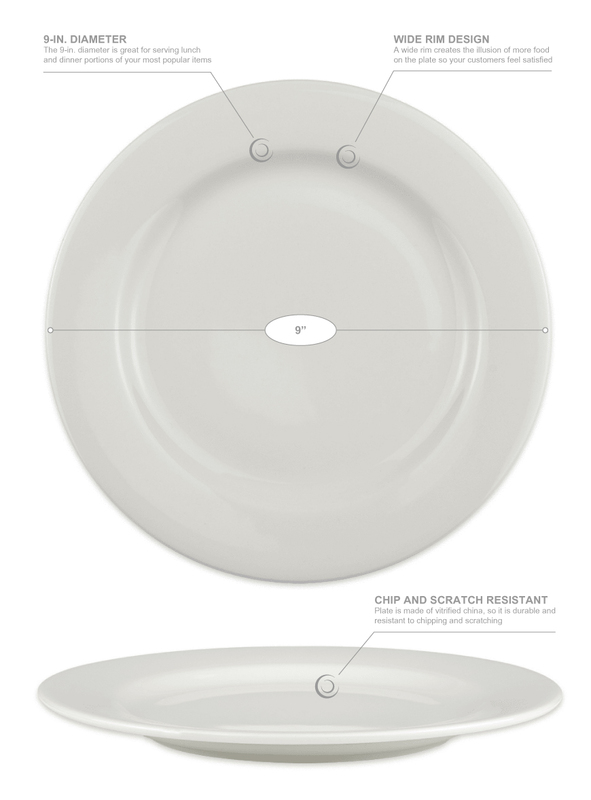 Due to the china construction, the Homer Laughlin 6376000 Pristine plate will not easily scratch or chip, making the dish heavy-duty for commercial use.